0.21 ACRES – 4 Bedroom Home With Pool And Amazing Ocean And Marina Views!!! 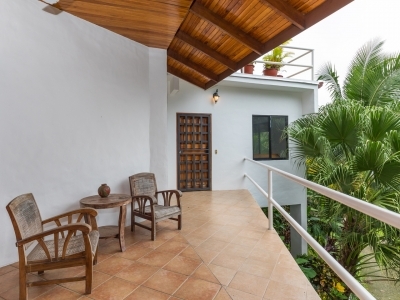 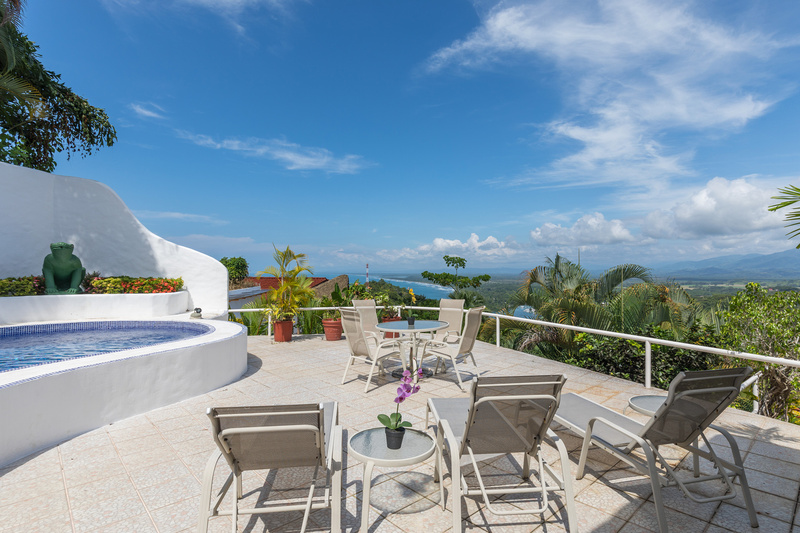 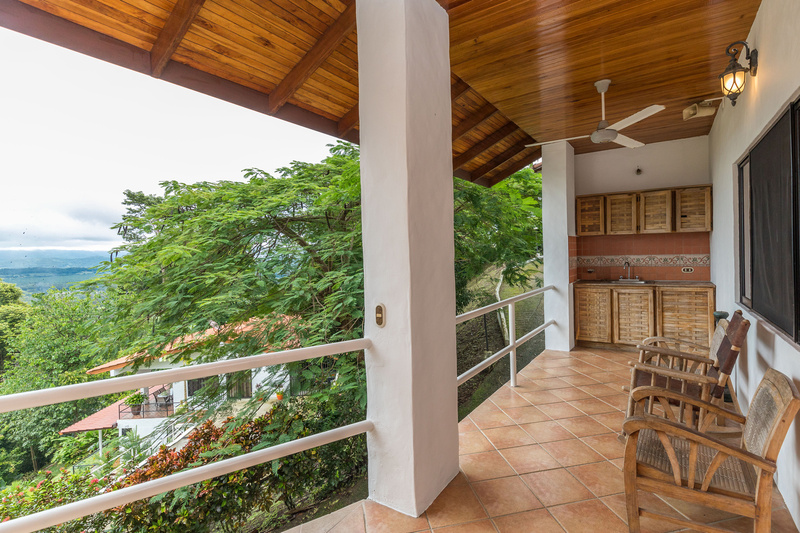 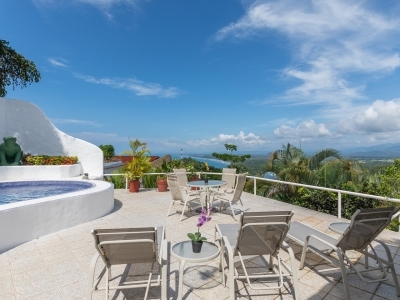 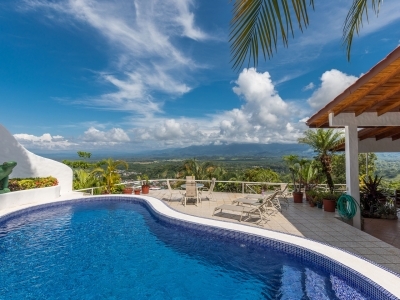 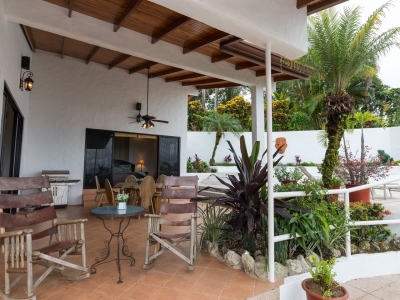 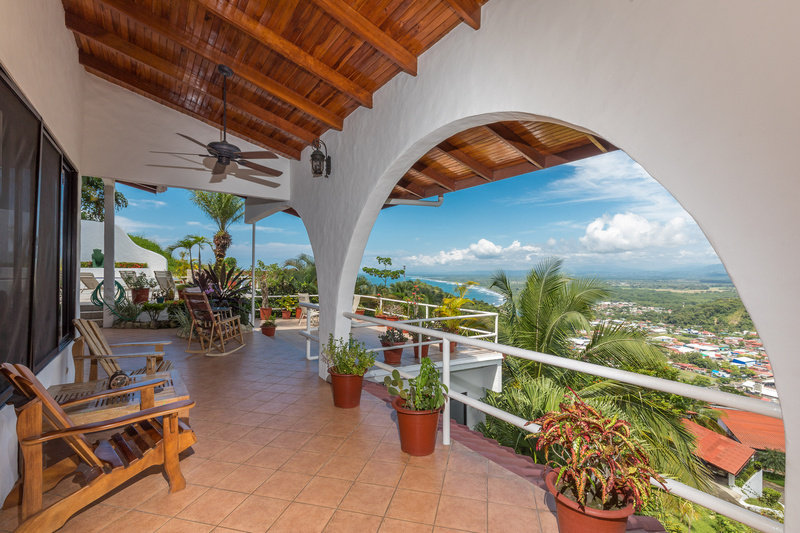 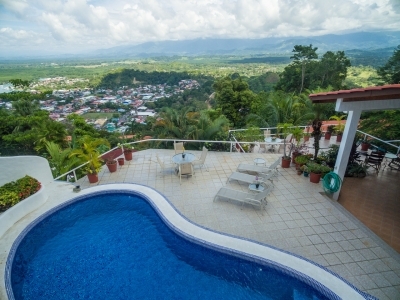 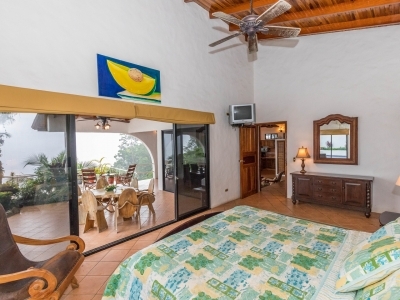 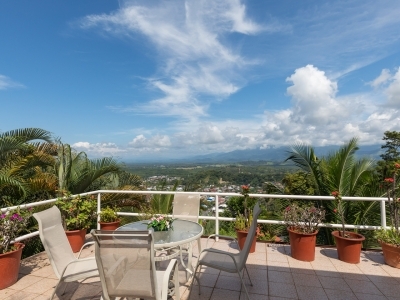 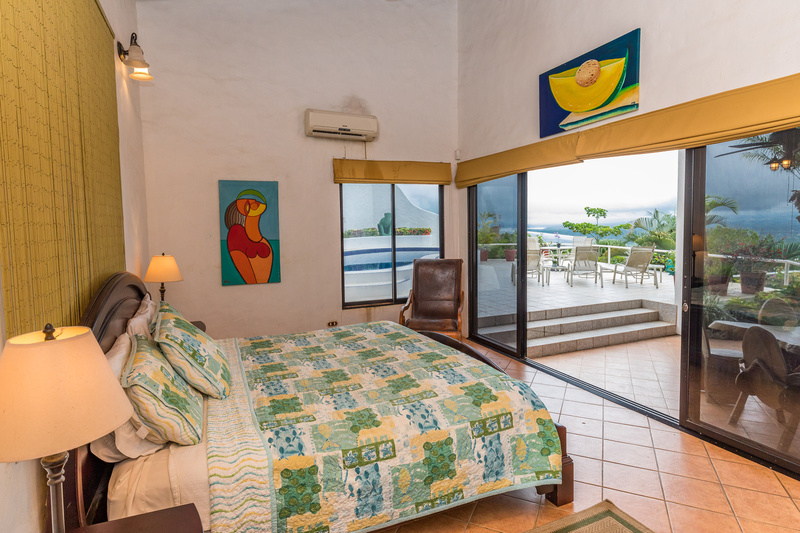 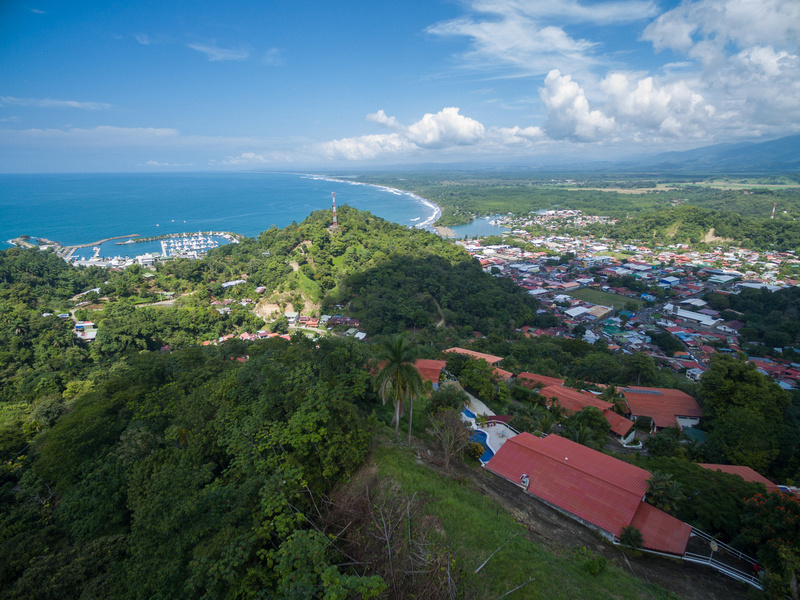 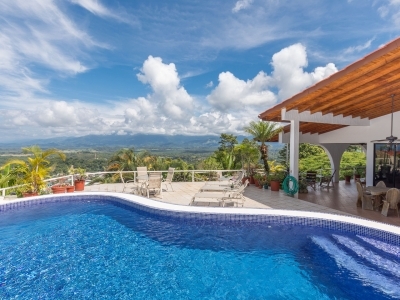 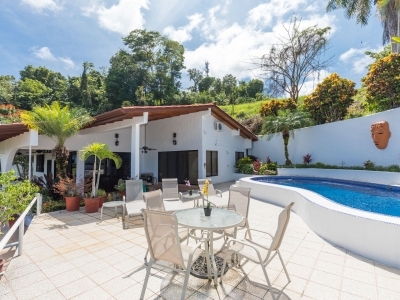 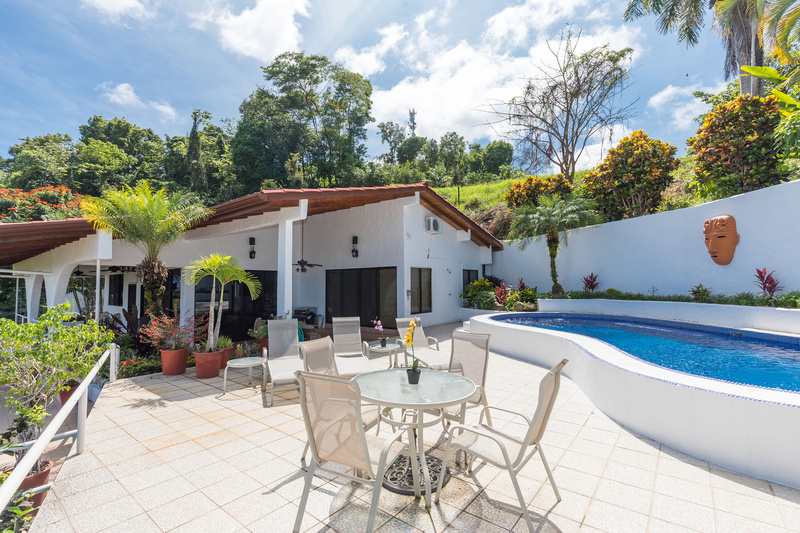 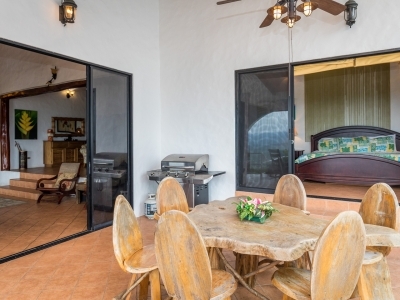 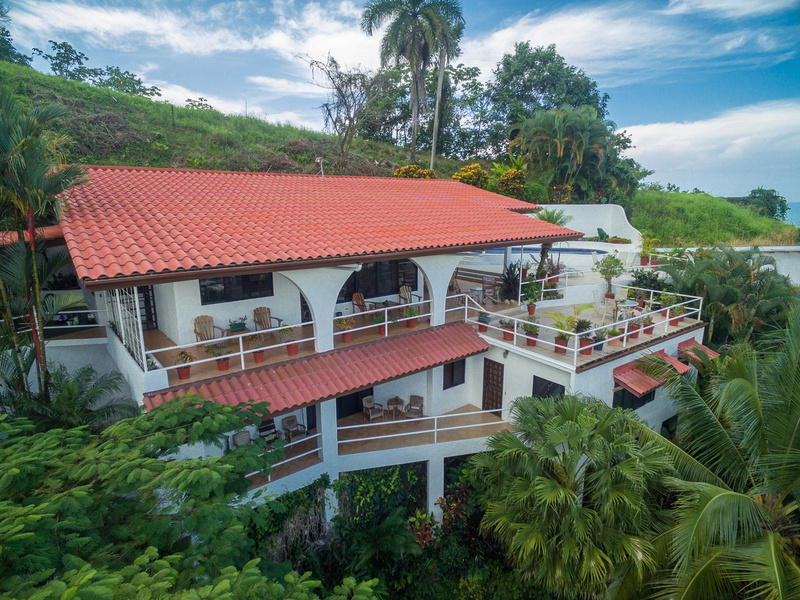 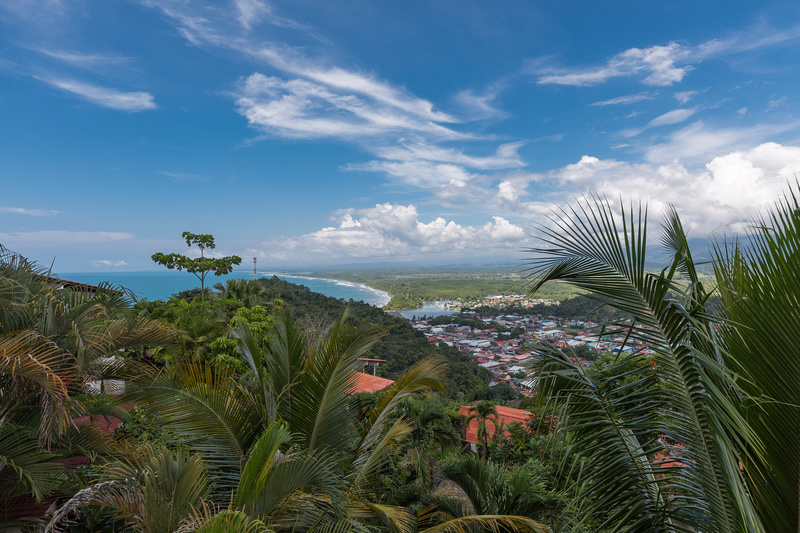 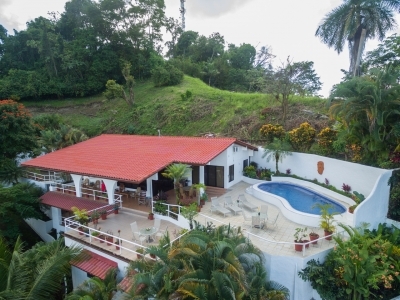 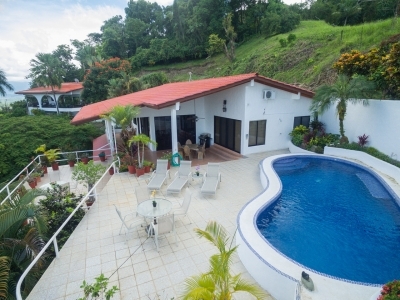 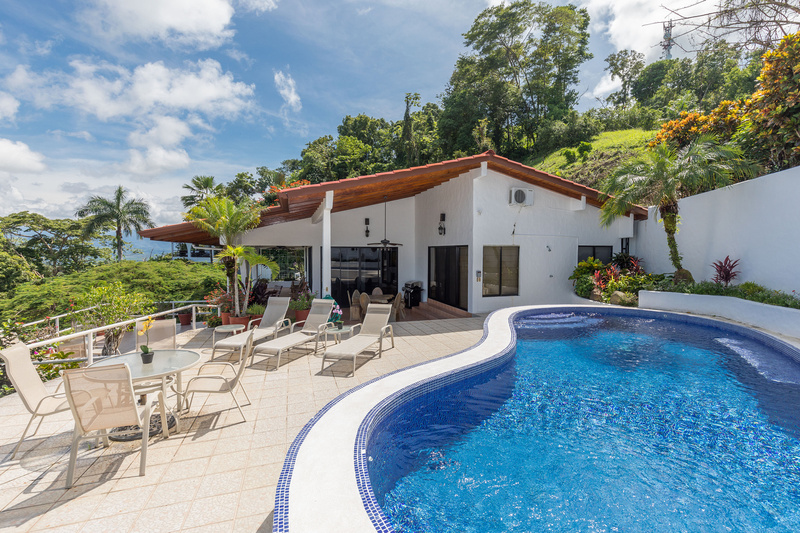 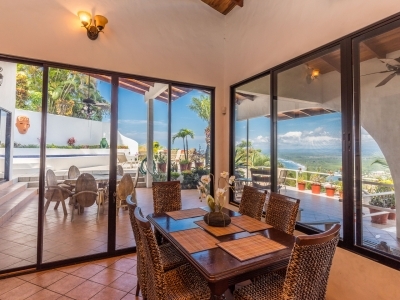 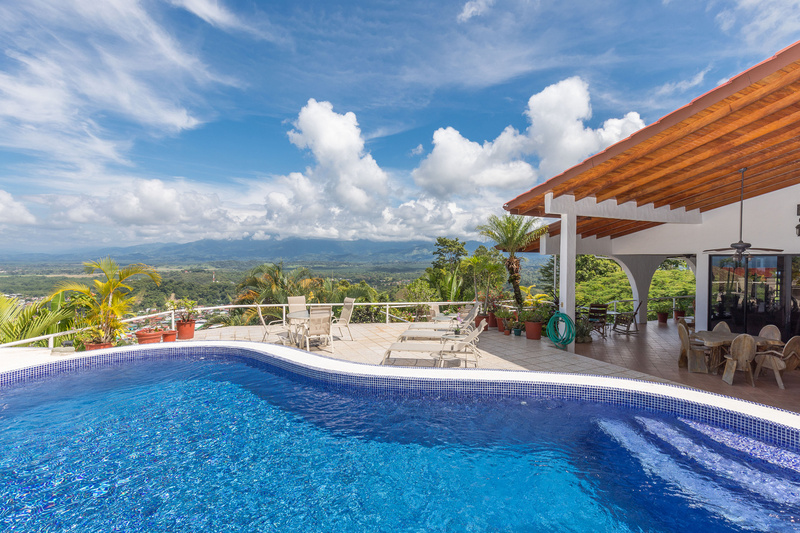 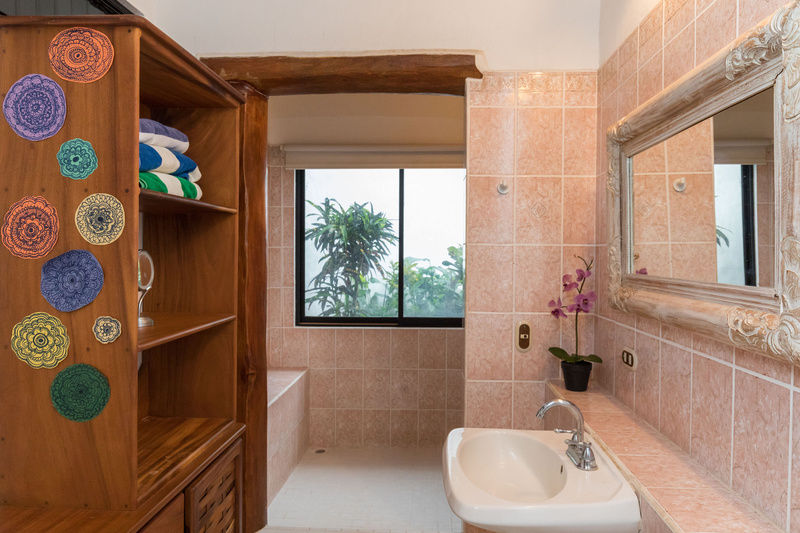 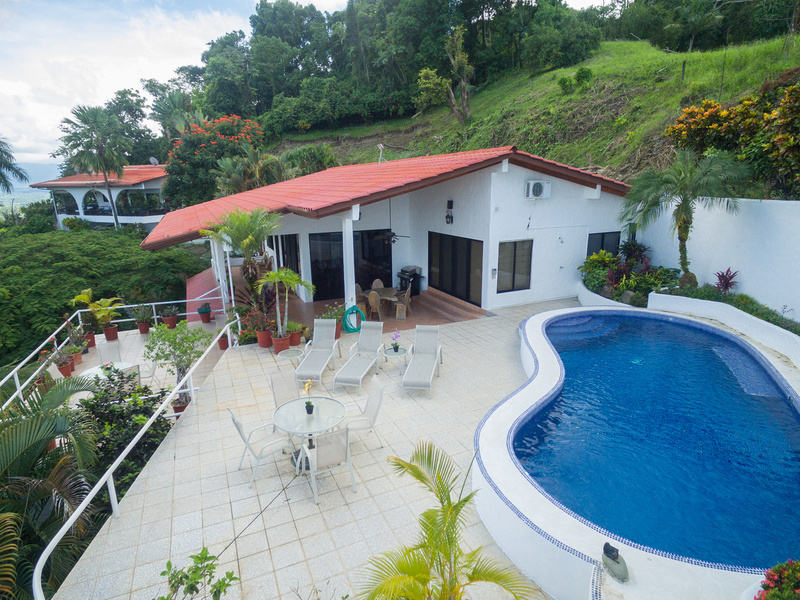 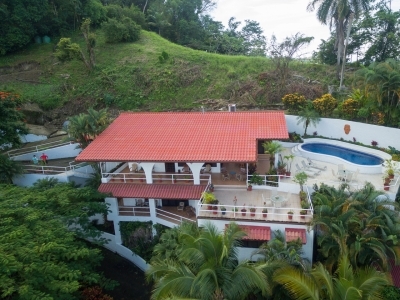 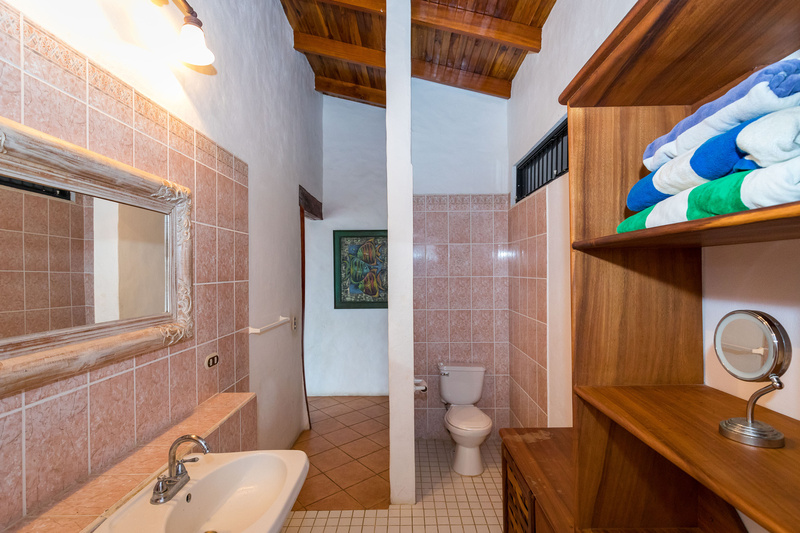 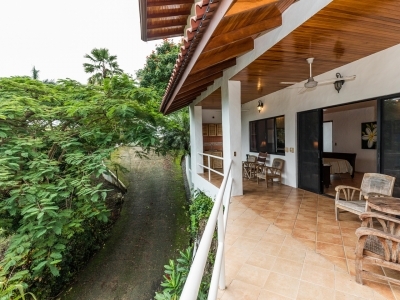 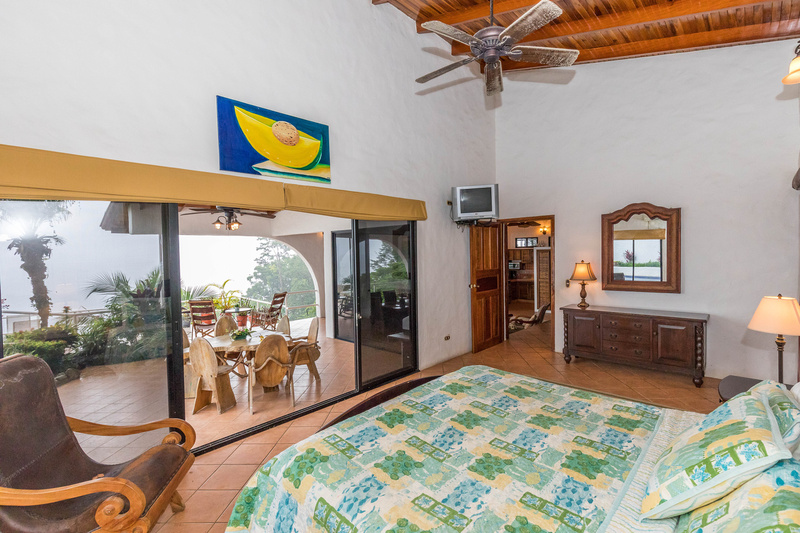 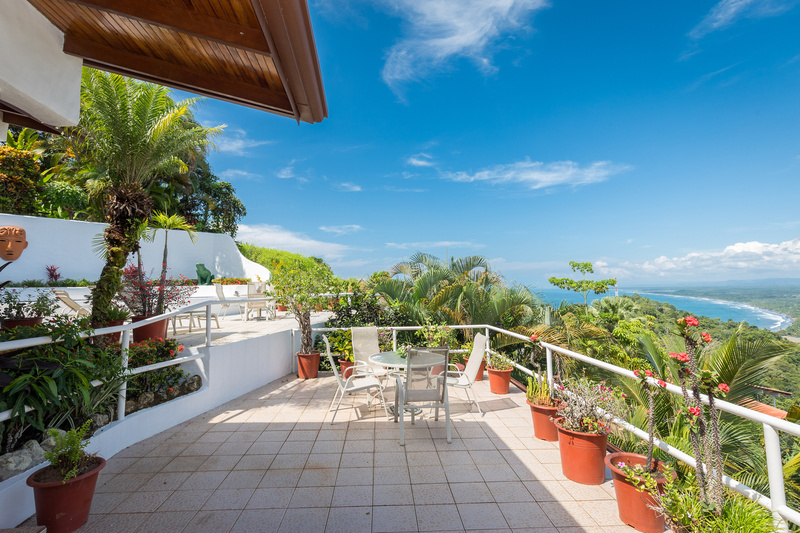 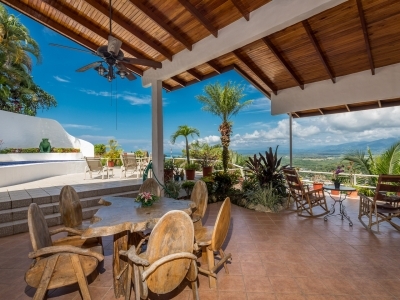 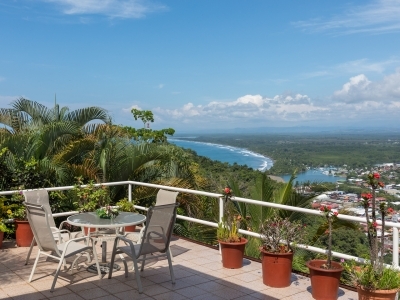 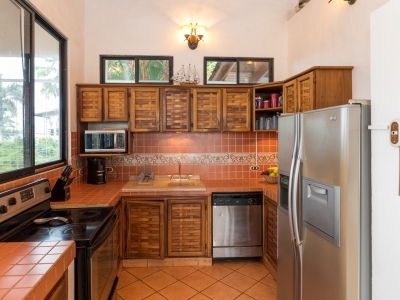 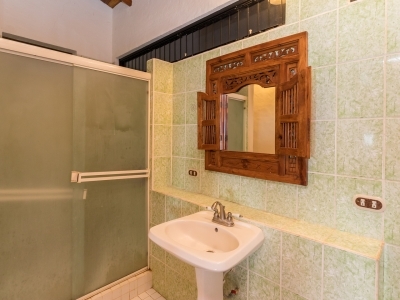 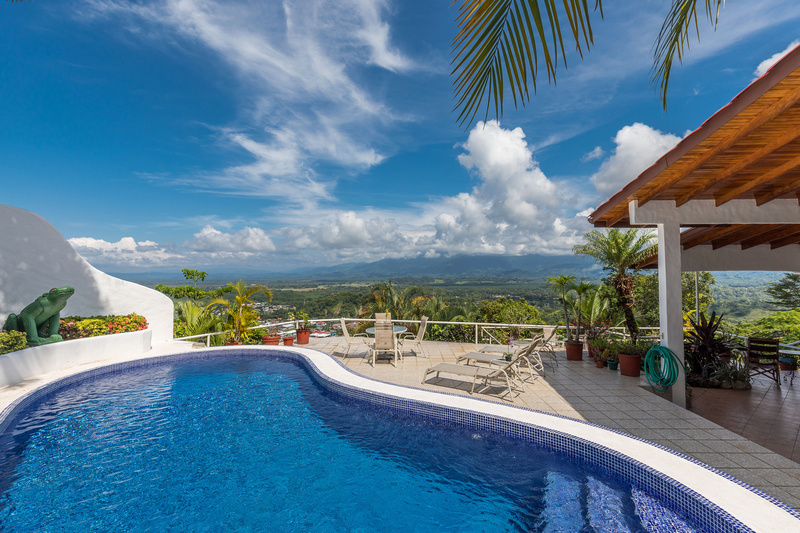 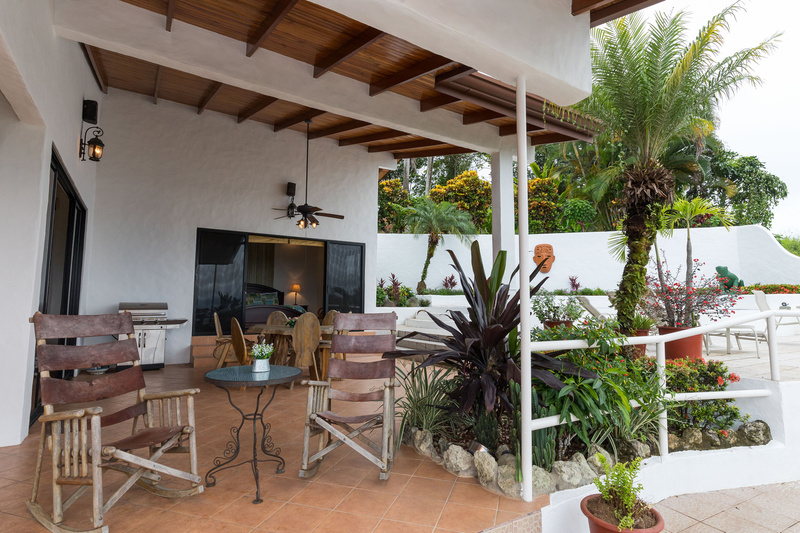 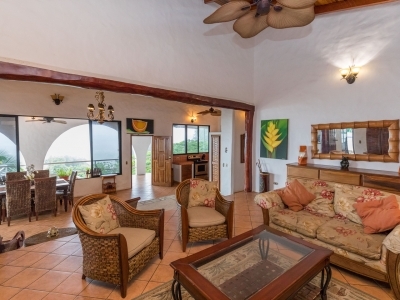 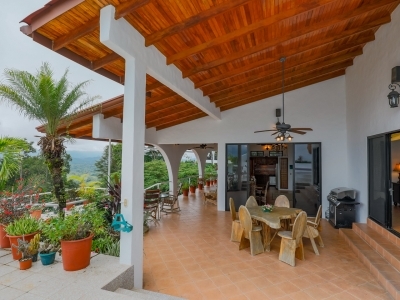 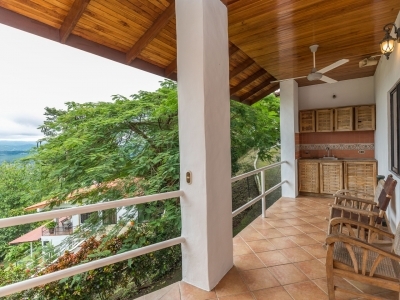 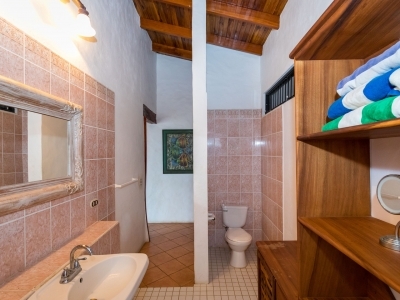 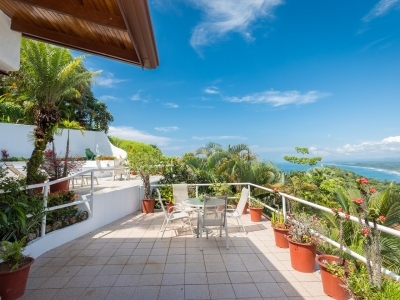 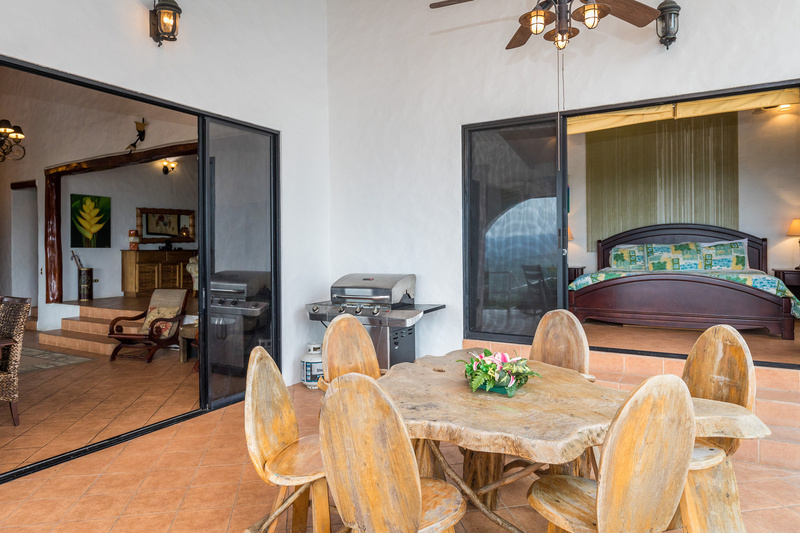 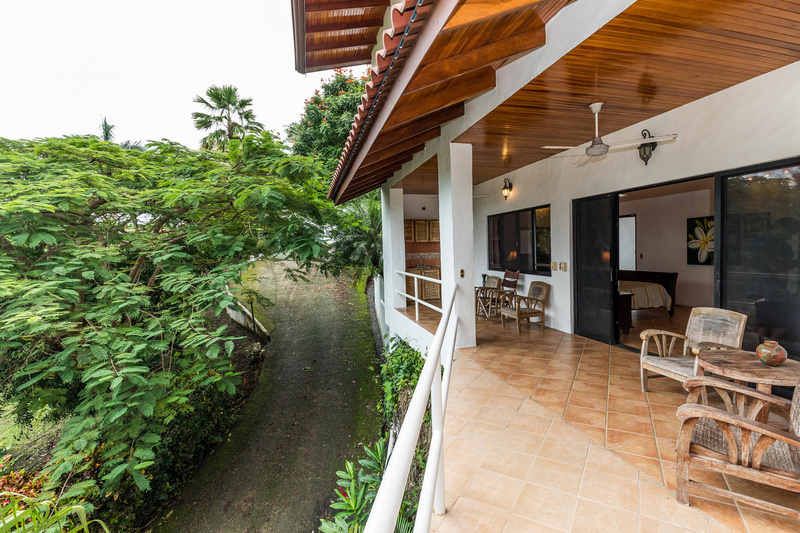 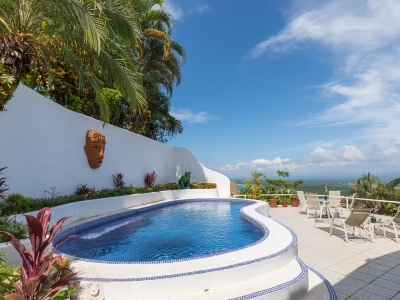 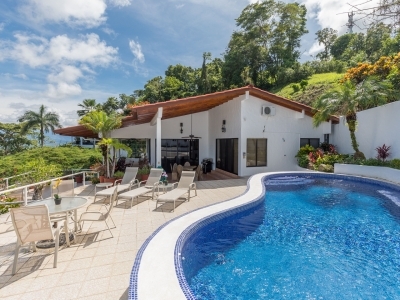 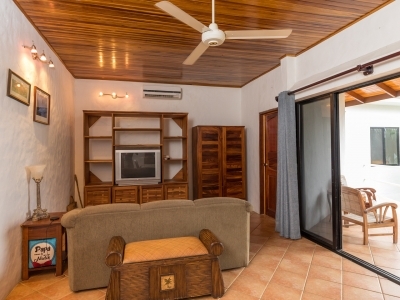 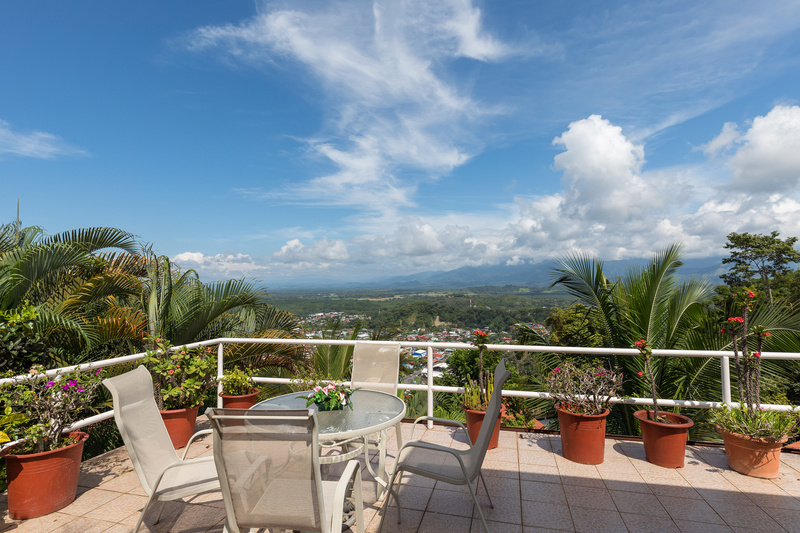 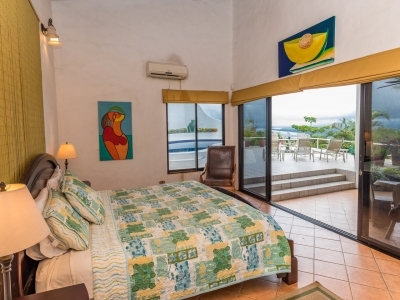 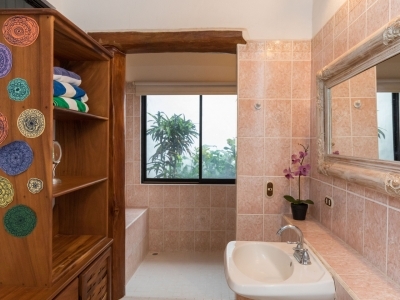 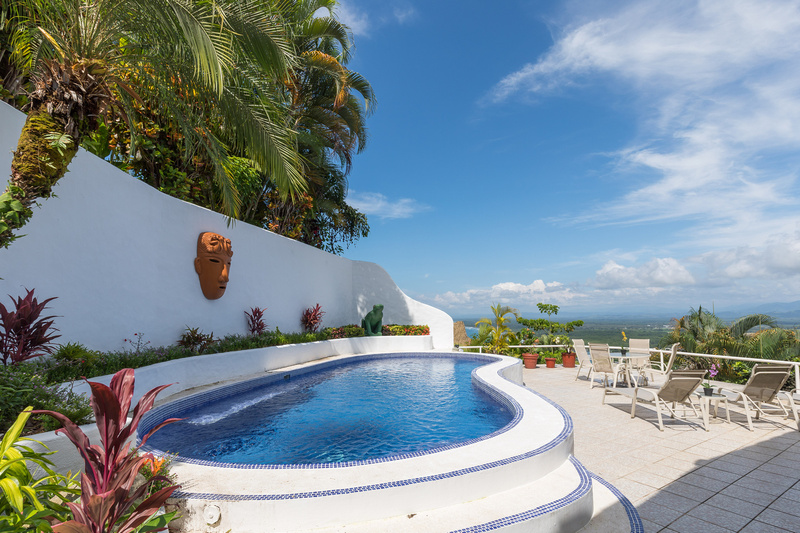 Casa Colina is part of the Parajo Azul neighbourhood and sits perched on the hills of Manuel Antonio with an encompassing view of Quepos, it’s marina, the pacific ocean and mountains beyond. 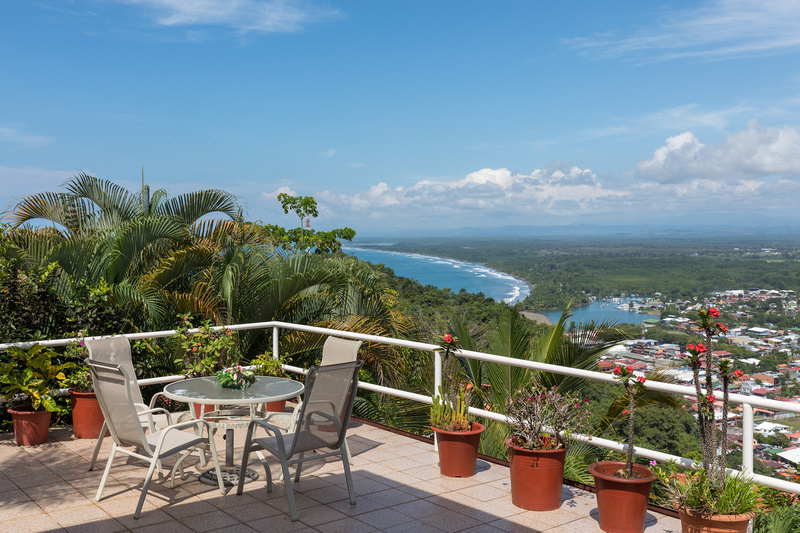 These unobstructed views of the Pacific mean killer sunsets. 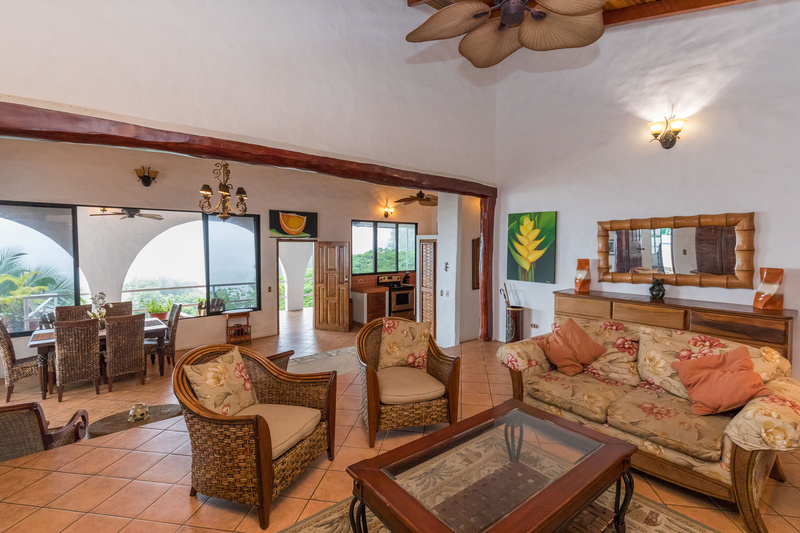 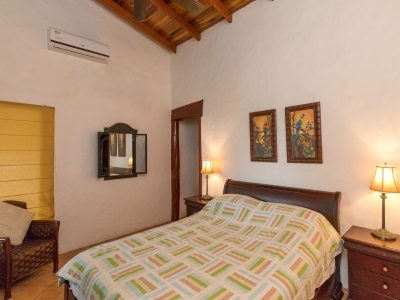 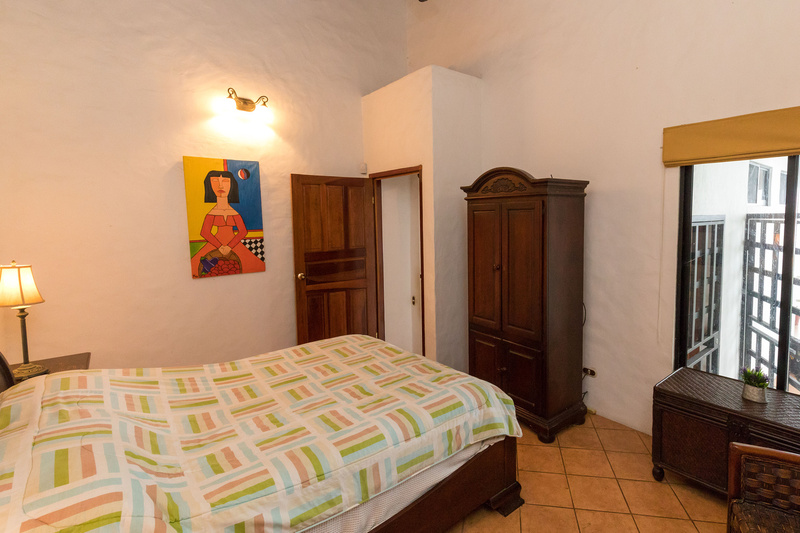 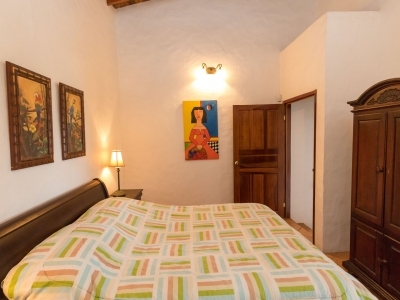 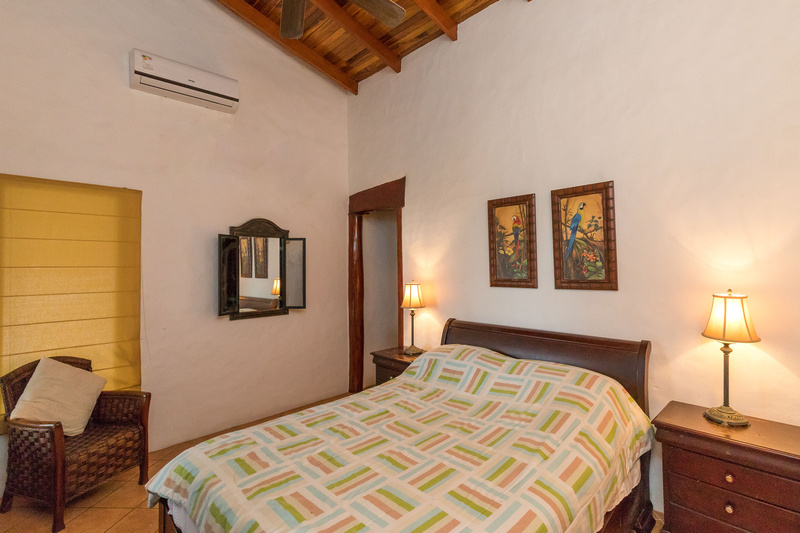 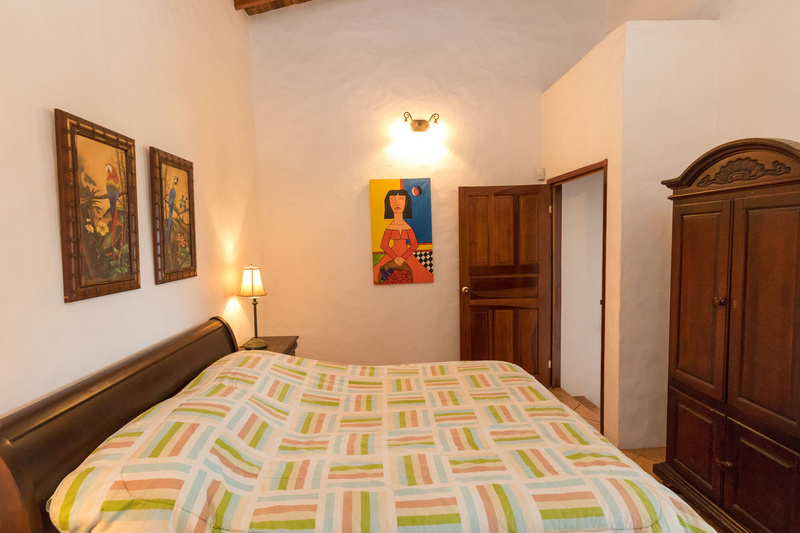 Casa Colina was built in the mediterranean style with it’s white walls, exposed wood beams, terracotta roof, and arches. 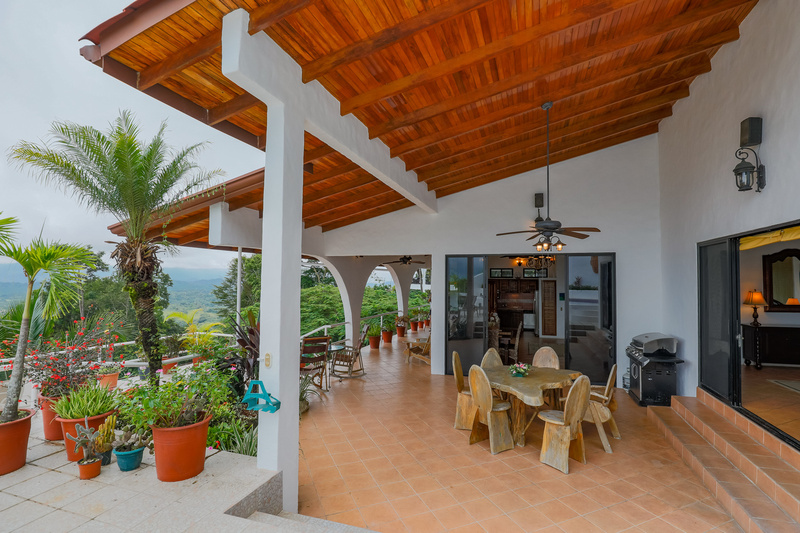 Featuring a graciously spacious outdoor patio with pool and plenty of room to entertain, this 4 bed/4 bath home can be an inviting single family dwelling or be easily converted into two separate 2 bedroom apartments to support vacation rental revenue. 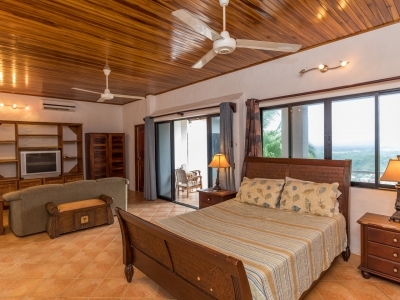 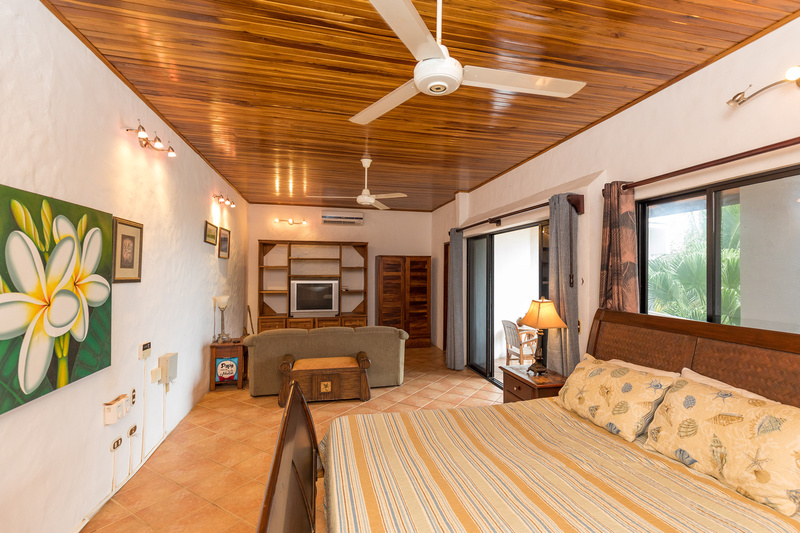 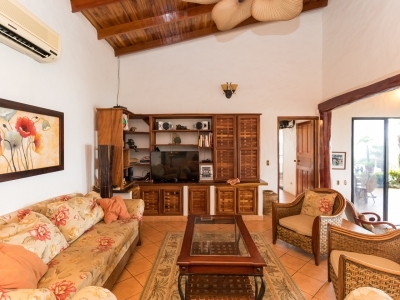 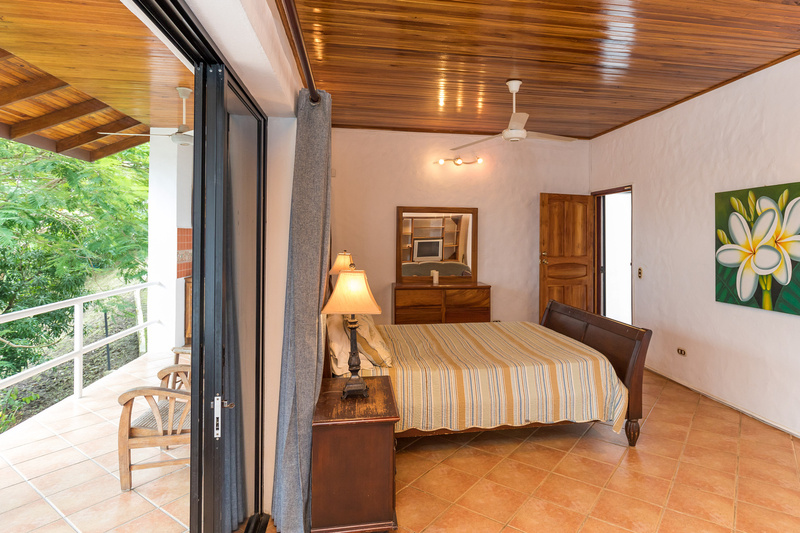 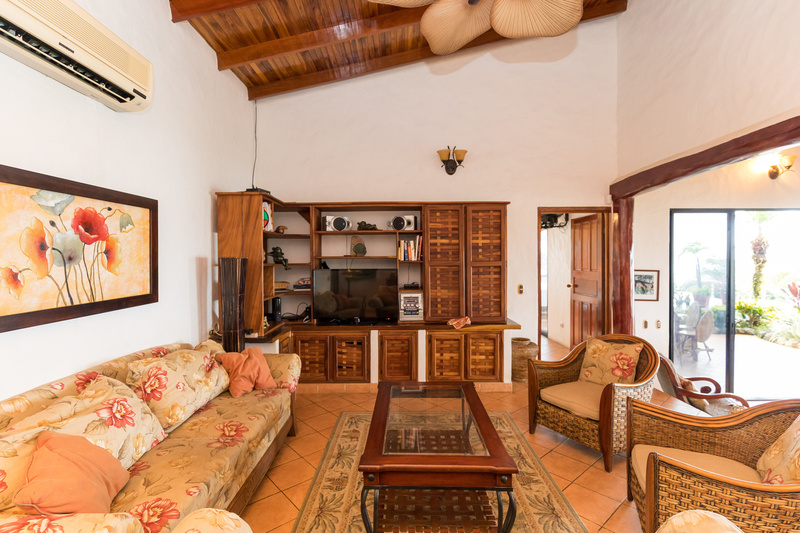 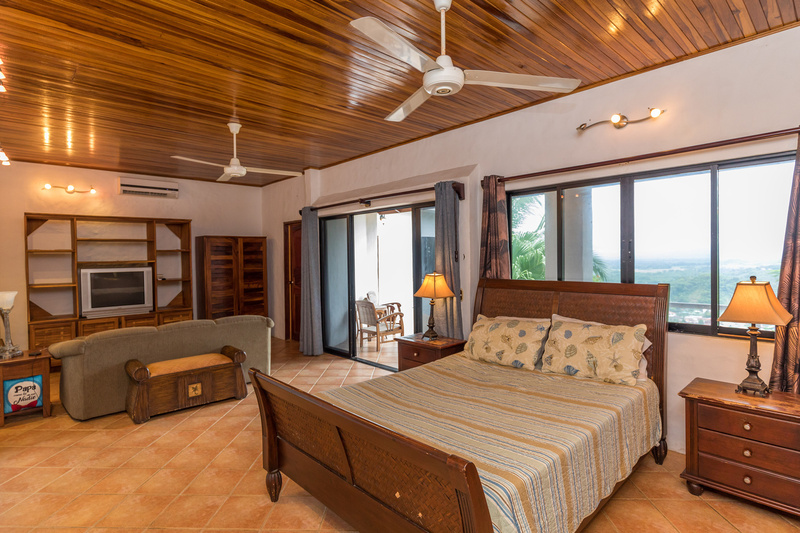 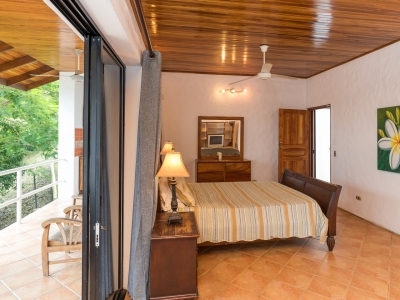 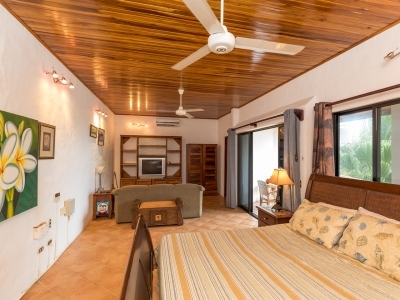 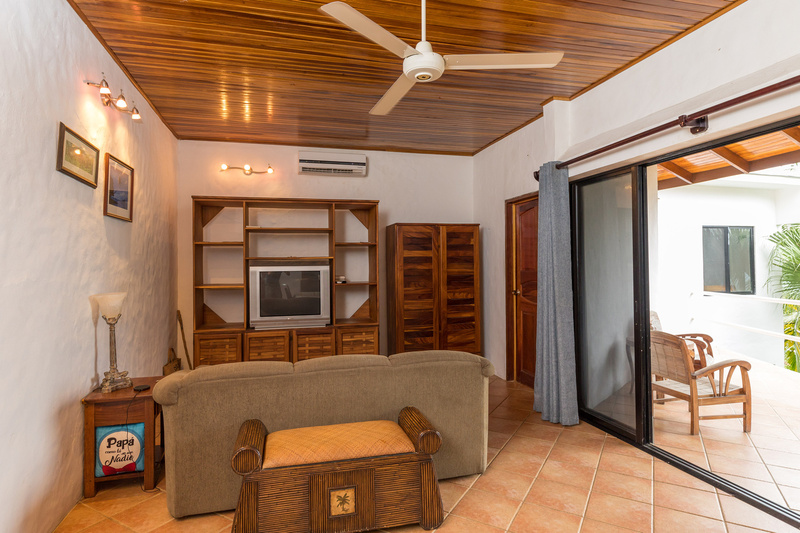 The upper level has 2 bedrooms, one a master bedroom with views of the ocean. The open concept living dining areas also have full floor to ceiling sliding glass doors opening out onto the massive patio with views of the ocean and mountains beyond. 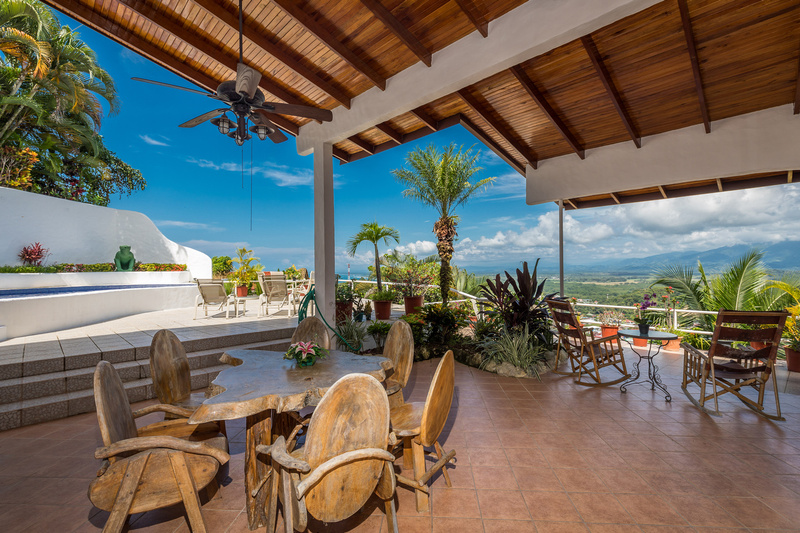 The home is perfectly designed for tropical indoor/outdoor living. 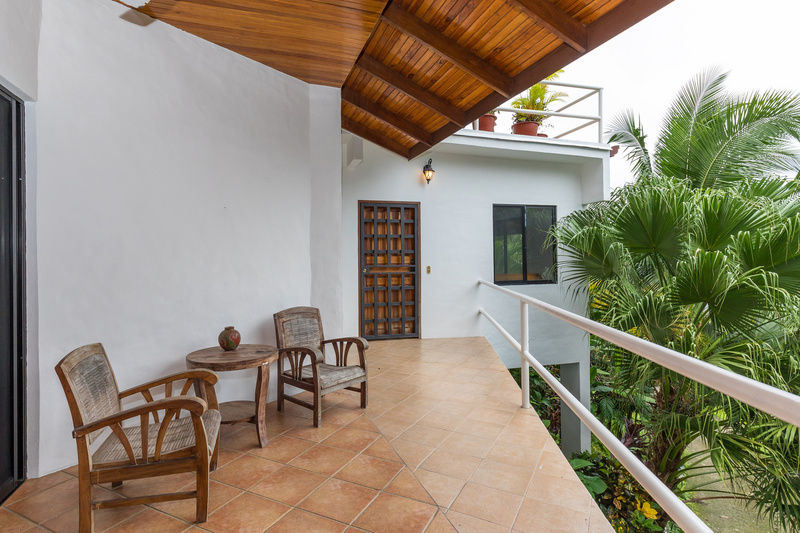 The lower level is accessed with it’s own exterior staircase and separate entrance. 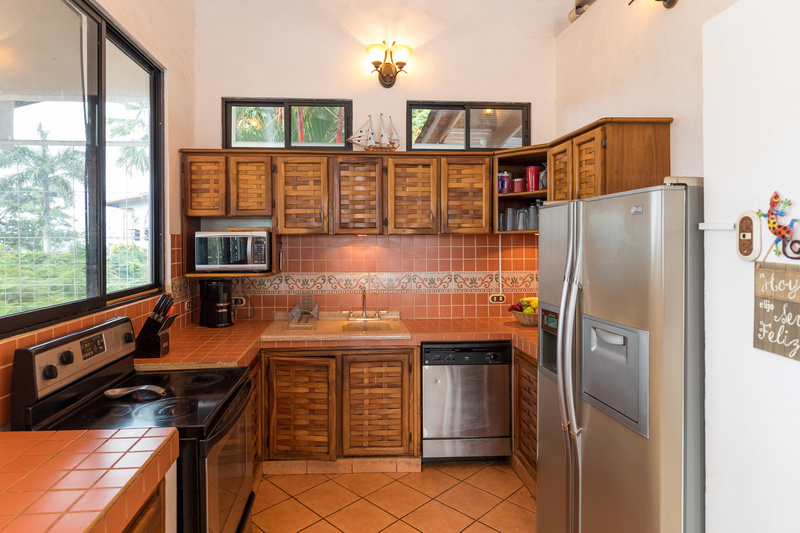 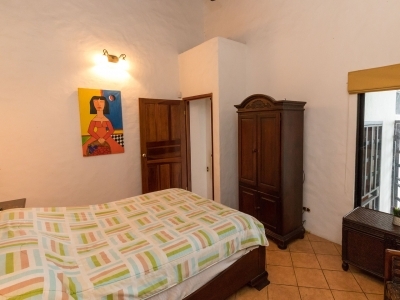 It has two bedrooms and 2 baths, a small kitchenette which could be inexpensively converted into a full kitchen. 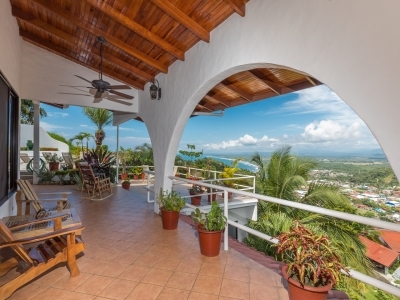 There’s a long, wide terrace also oriented toward the spectacular ocean/mountain views. 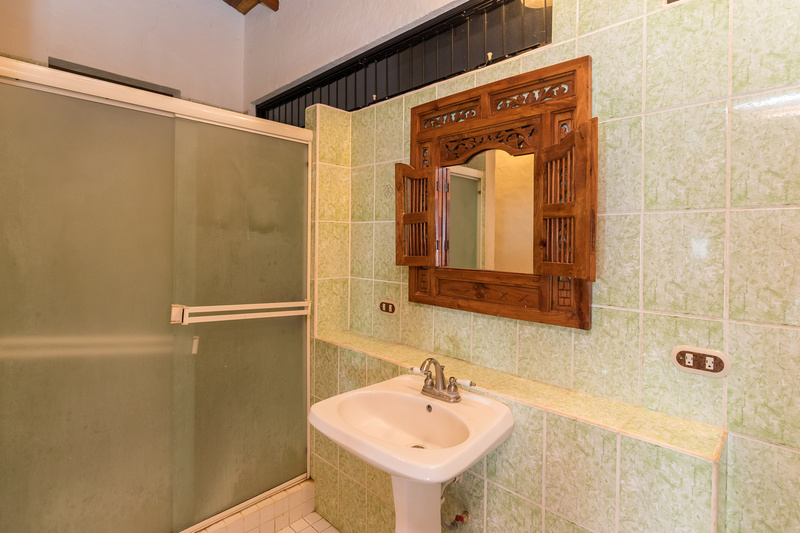 This home is a real find. 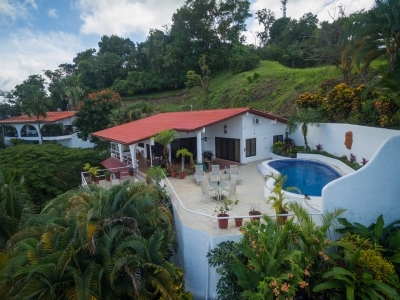 Just listed. 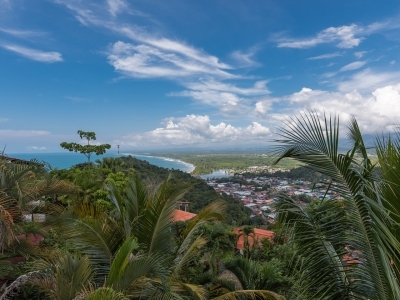 Lot Size: 852.5 sq. m.